The CRM field is shifting and Salesforce is no longer the only player in the game. In fact, many people today are suggesting that Microsoft Dynamics 365 is better than Salesforce, especially for enterprise-sized companies. Here are six reasons why Microsoft Dynamics 365 is better than Salesforce for enterprise companies. Dynamics 365 was developed to be easily customized for the individual needs of each customer. By tapping into the knowledge and skill of Microsoft’s extensive network of trusted gold partners, an enterprise company can get exactly what they need without relying on third-party applications to supplement the main platform. That is simply not the case with Salesforce, where customization of the core product is severally limited. #2 Multi-platform needs = multi-platform headaches. As stated, Salesforce relies on third-party apps to provide the same thing that Dynamics 365 customization does. That means you are pulling resources from multiple servers and sources. If one isn’t functioning ideally, it can make everything underperform. To stop that you need to develop workarounds, so you end up having to spend resources customizing a system that was sold to you out-of-the-box. The other concern with using multiple apps is that you don’t always know who is developing those apps, or where your information is being stored. With a Microsoft Dynamics 365 solution, you can be assured that everything important is either stored on your own servers (with an On-Prem solution) or in the Microsoft Azure cloud, which is among the safest Cloud services in the world. Microsoft is one of the largest and most innovative companies in the world. You can be assured that Dynamics 365 will continue to evolve to meet whatever challenges the business world may face in the future. When you invest in a Microsoft solution you can be assured that you are getting the very best of what is available in the market. In addition to the innovation outlined above, Dynamics 365 seamlessly integrates with the rest of the Microsoft Office platform. If you are one of the more than 80% offices in North America that utilizes Office 365 software, that can be invaluable. The bottom line is, well, the bottom line. Dynamics 365 is cheaper than Salesforce – often much cheaper. Although it is difficult to pinpoint an exact cost of an integration without looking at the specifics of the project, most Microsoft partners can offer a far more immersive CRM solution than Salesforce’s Enterprise Edition. And, that’s before you get into the costly add-ons that Salesforce requires to match the capabilities of Dynamics 365. We are not here to pretend that Salesforce isn’t a powerful platform. It is an effective sales software. However, in 2019, the choice for enterprise companies is clear. As outlined, Dynamics 365 is better than Salesforce in every meaningful way. At CRM Dynamics, we made the choice to specialize in Dynamics 365 more than a decade ago. We saw the way that the market was moving and wanted to align ourselves with the software that we viewed as superior. We have never regretted the choice to become a certified Microsoft gold partner. If you are looking to implement a Microsoft CRM solution why not give us a call. We have helped more than 700 companies either implement Dynamics 365, or migrate from Salesforce over the years! There’s nothing like an afternoon listening to my Billy Joel collection and discovering a universal truth about our digitalist ways. Less thinking, and less rejection – isn’t that what everyone wants? Whether it’s in our consumer or employee experiences, technology is helping us create outcomes that are precise and acceptable. This increasing desire for certainty is also impacting the success of midsize businesses. In fact, according to the IDC InfoBrief, “Becoming a Best-Run Midsize Company: How Growing Companies Benefit from Intelligent Capabilities,” 74% of surveyed midsize businesses that use innovation to meet organizational objectives yield high growth and profitability, compared to 0.5% of their lower-performing peers. In addition to the tactical activities outlined in the IDC study, it’s critical to consider the importance of the people in driving innovation. When people feel valued, sense genuine appreciation, and are rewarded for their contribution to the business, they are more inclined to change how they go about their day when their organization demands it. Employees are willing to take risks, stretch their current capabilities, and develop their own skills for the good of the company. Often, I am reminded by our customers how well growing companies succeed when they transform their people strategies to build a workforce culture and organizational structure that values innovation. From time to time, I meet leaders from midsize businesses that align these priorities with their digital investments to accelerate the outcomes of existing business transformation strategies. Furthermore, they encourage an openness to innovate and continue that transformation as demands change. But perhaps more interesting is how this focus on people transformation can help midsize companies gain a tremendous edge over their larger competitors. I am constantly in awe of how leaders of growing companies have their finger on the pulse of their business. By knowing the strengths of individual employees, sensing emerging behaviors and skills, and pinpointing capability and process gaps, they understand how business change impacts each person’s contribution and take action long before these factors affect the business negatively. It is also important to recognize, as many of our customers insist, that technology fit is a crucial part of enabling these strategies. Companies need to choose digital investments that are directly aligned with their existing needs and capabilities today and can scale as the business grows, becomes more mature, and take on new markets tomorrow. Most leaders are often tempted to dictate what they believe are the right changes for the business to help deliver the expected outcome. But ultimately, good leaders are those who understand that there are things that need to be addressed within an organization and are willing to listen and make the necessary change. Exercising empathy lets business leaders position their workforce for transformation that makes sense – and invest in technology that enables it. They can tease out those hidden pockets of strength that open up new opportunities previously thought unimaginable. Furthermore, they can change the right areas of weakness to allow growth to flourish. The fourth-largest company in the world by market cap, Amazon is a contender on both the B2C and B2B fronts—a reality that at some point will likely impact the food and beverage service industry. Take restaurants, for example. Unlike institutional customers (i.e., hospitals, schools, military bases, etc. ), which usually buy on contract, restaurants would be a fairly easy chunk of business for Amazon to bite off in the future. In fact, for the thousands of independent eateries and smaller restaurant chains that aren’t buying from any one supplier, Amazon’s offer of an easier, more streamlined way to shop for food and beverages would be a no-brainer. After all, these buyers are consumers themselves, and they’re used to shopping like that anyway. Here’s the disruptive part: even if customers know that they’re not getting the best possible price, the reason they stick around is because they know the experience will be convenient and easy—and that delivery will be quick. They’ll put a few items in their shopping carts and, at some point, hit the “buy now” button, knowing that their goods will arrive in the next day or two, guaranteed. It’s this “once I’m in, I’m in” mentality that keeps Amazon moving steadily into new industries. In other words, a buyer for a local restaurant isn’t just a buyer for that establishment; he or she may also be an Amazon Prime member who would like to extend the B2C experience into the restaurant’s procurement strategy. It's the evolution of consumer expectations making the leap into B2B procurement that food and beverage distributors should keep in mind. So, what can food and beverage distributors be doing now to ward off any potential threats from Amazon? For starters, one of the best strategies will be to offer support that rivals Amazon’s own offering. For example, Amazon’s secret sauce lies not only in its ecommerce shopping cart, but also in the logic behind that cart in terms of creating the right flow, process and product at the right time. Making that happen requires both ecommerce and a complete logistics infrastructure. Amazon has infrastructure in place that allows it to store the sellers’ products (i.e., Fulfillment by Amazon or “FBA”) and fulfill orders very rapidly and efficiently. Don’t wait until the inevitable happens. Five years ago, Walgreens probably would have laughed off the fact that the world’s largest online book seller could invade its turf, but that’s exactly what happened when Amazon bought PillPack last year. The best strategy is to prepare now by updating or replacing any antiquated systems, developing good ecommerce strategies and shoring up valued customer relationships that may need attention. Integrate automation into your operations. If there’s one thing that Amazon is great at, it’s getting orders out the distribution center (DC) door and out to its customers quickly. Credit some of the company’s automation investments (i.e., its purchase of robotics maker Kiva Systems in 2012), with helping to propel that speedy-delivery mission. 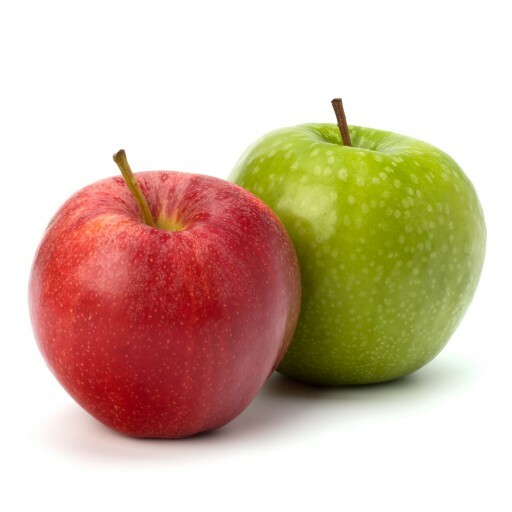 An industry that was historically rooted in one sales representative matched up with one restaurant owner, the food and beverage sector could benefit greatly from a more automated, streamlined approach made possible by an enterprise resource planning (ERP) platform combined with a customer relationship management (CRM) solution and other tools that enable high levels of automation. Take an introspective look at your operations. Look inward at your company’s processes; evaluate them for potential inefficiencies, rigidity and errors; and find the gaps that need to be filled. Recognize that you’re dealing with a business landscape that’s evolving, and that even your best customer relationships may not withstand the powerful draw of a competitor like Amazon. Using advanced technologies and automation, you start to position your company for success—should the threat become a reality. Utilize a robust, omnichannel technology platform. Thanks to the overall shift to ecommerce selling (versus face-to-face sales), food and beverage companies should be using ERP, CRM and other tools that allow them to sell online, via mobile device, face-to-face or using the phone—whatever the customer prefers. NetSuite, for example, helps companies create an Amazon-like omnichannel experience that’s vastly different than what most food and beverage companies have used historically. Right now, food and beverage distributors aren’t seeing much competition from Amazon. The idea has reared its head from time to time—a 2017 report from JPMorgan claimed that at the time Amazon wanted to “dive into food service distribution, potentially shaking up an industry now dominated by three large players”—but has yet to transpire. Spurred on by the Whole Foods acquisition, which took place around the same time, consultants like Caryn Hecht were predicting a similar fate for wholesale food distribution. “Amazon will continue to leverage increased buying power and lower volume cost, provide a greater product selection, and now have the infrastructure for faster delivery completely by-passing wholesalers,” Hecht wrote in How Amazon Acquisition Impacts Wholesale Distribution. Learn more about NetSuite’s software for food and beverage distributors. Whilst Welch may have been right to an extent, it’s no surprise that accurate budgeting, planning and forecasting is essential for every high-growth business. Together, these processes provide a roadmap for a business and give its workforce clear directions on how to reach the intended destination. On top of outdated budgets, all this manual, time-consuming admin also leads to less time for analysis, poor strategy development and inaccurate target setting, potentially impacting all areas of the business. It’s unfortunate that most modern companies still conduct the process of forecasting based on outdated tools, spreadsheets and assumptions, rather than using new technologies and up to date market research. With this way of working, manual errors are inevitable. With all of this, by the time the information is pulled together from various sources to build the budget, for a high growth business new opportunities have been missed and it’s unable to respond to volatile market conditions and business threats. Insights from Aberdeen Group, KPMG and ACCA show us that 49 percent of finance professionals agree that the top challenge in financial planning, budgeting and forecasting is marketing volatility, creating the need to dynamically account for change. In addition to the 62 percent that believe that budgets are simply a ‘point in time’ view and don’t reflect what is happening externally, it makes for a strong case against the likes of spreadsheets. Yet, over one third of finance professionals suggested that their businesses were still not utilising rolling forecasts. Improving the planning, budgeting and forecasting processes at most small to medium-sized businesses is even more of a challenge. Through the cloud, planning and budgeting tools have become more widely available to smaller business. In large part, this is because they are hosted pay-as-you-go models, meaning SMEs have low cost of ownership and rapid implementation. Essentially, the cloud has enabled a low barrier to entry into 21st century planning, budgeting and forecasting capabilities. In addition to cost savings, speed and accuracy are two of the core benefits businesses will see from a move to the cloud. Learn more in the webinar “A CFO’s Guide to Planning, Budgeting and Forecasting for High-growth Companies” hosted by Kevin Reed, accountancy journalist and former editor of Accountancy Age and Sutter. It explores some key areas around planning, budgeting and forecasting within a high-growth environment, and some of the barriers preventing businesses achieving efficiency and effectiveness in this area, including a more in-depth discussion on the topic and case studies filled with advice from successful companies. Watch the webinar on-demand now to learn more. With the deadline passed, organizations are still using technology and automation to support ASC 606 compliance. ASC 606, the new revenue-recognition standard, is the most significant accounting change since the introduction of Sarbanes-Oxley. One of its primary goals is to harmonize US and international revenue recognition standards under a new principals-based model, simplifying revenue recognition. What looks simple on paper is of course often complicated in practice. Many software companies have found that the transition to ASC 606 has complicated their revenue-recognition policies while raising questions about their ability to fully comply with the new standard. While the deadline for implementation of ASC 606 has passed as of January 2019, that hardly means that every affected company has completed its transition: many private companies plan to take much of 2019 to adapt internal policies and operations, and to complete the transition shortly before end-of-year audits. Those companies should take special note of the challenges and opportunities presented by ASC 606. Revenue Allocation. Although revenue allocations were part of ASC 605, companies routinely white-papered their way out of the need to perform them. That’s not an option under ASC 606: revenue allocations must be reported, and at a level of detail that is new to many companies. This is easily the most significant shift in revenue management under the new standard. Performance Obligations. ASC 606 changes the standard by which performance obligations are defined and recorded. Its predecessor used the satisfaction of contractual terms to identify performance obligations; under ASC 606, the transfer of control of goods or services defines a performance obligation. For example, under ASC 605, implementation of a software platform may have satisfied a contractual clause, and therefore fulfilled a performance obligation. Under ASC 606, the obligation is not fulfilled if the implementation requires further customization and integration with existing code. The service has not been truly delivered until the customer is able to use the new platform. Contract Cost Deferral. ASC 606 matches contract costs, such as sales commissions, with contract revenue. These changes can have effects beyond the accounting department; internal conversations about 606-compliant revenue policy should address the above points thoughtfully and thoroughly. Many customers go for long stretches believing that they will not be impacted by ASC 606, only to call in a panic after speaking with their auditors. Forward-thinking companies are prepared for these impacts along with purely internal ones. Revenue Allocation. NetSuite’s robust allocation engine supports varying levels of complexity surrounding revenue allocations. For example, software companies commonly identify distinct groups or bands of customers (e.g. Enterprise, SMB, Partner), whom they sell to, and they price their products quite differently. This affects the Standalone Selling Price (SSP) for each group. NetSuite uses the appropriate SSP to properly allocate revenue. Further, additional purchases may be made under the umbrella of an existing contract. Revenue allocation for the subsequent purchase may require consideration of an existing revenue arrangement. NetSuite identifies and links additional purchases for revenue allocation. Performance Obligations. NetSuite supports the ability to present a bundled offering to your customer and handles the revenue on the back-end in whatever way a given company’s policy dictates. Contract Cost Deferral. NetSuite automatically matches contract costs with contract revenue. Like many with a stake in the transition to ASC 606, I have been discussing the new standard for years with colleagues throughout the software industry. Along the way, we’ve discussed the systems we’re using to support the transition. It’s clear to me that NetSuite is the only enterprise resource planning (ERP) solution currently capable of fully supporting ASC 606 implementation. While other ERP solutions are scrambling to meet their customers’ 606-related needs, NetSuite customers are enjoying the benefits of its foresight and sustained devotion to helping companies fully operationalize 606-compliant policy. Learn more about how NetSuite software supports ASC 606. The negotiations between tech companies and cities to open new offices and/or data centers have long been held behind the scenes. But that secrecy is proving to be an increasing point of contention, as evidenced this week by Amazon’s decision to abandon plans for a big New York City campus, in part due to backlash over how tight-lipped the ecommerce giant was in negotiating an incentive package with the city and state of New York. Now, new documents obtained by the Washington Post show that Amazon’s not the only company that favors secrecy — Google has also used confidentiality agreements in its bid to secure land for datacenters, even going so far as to create shell companies for the purposes of negotiation. The documents were first acquired by a group called Partnership for Working Families, which is suing San Jose, California over non-disclosure agreements the city has signed with Google. The report comes after Google announced this week that it planned to invest $ 13 billion in expanding and opening new datacenters and offices across the U.S. According to the Post, Google used shell companies in negotiations with at least five cities that it ended up building datacenters in. Sometimes, it used multiple shell companies, and negotiated with local officials using code names to avoid revealing it was Google behind the project until months into negotiations. Here’s how they did it, according to the Post, as discovered through documents and an interview with Larry Barnett, president of an economic development organization in Midlothian, Texas, where Google ended up building a datacenter. In Midlothian, for example, Google created Sharka to negotiate the tax-abatement and the site plans, and used a separate Delaware company, Jet Stream LLC, to negotiate the land purchase with a private owner. In Iowa, Google created Delaware-based Questa LLC for the land sale and Gable Corp. for the development deal. The story also includes links to non-disclosure agreements Google made officials sign in a number of cities, including Boulder, Colorado, San Jose, and Clarksville, Tennessee. “We believe public dialogue is vital to the process of building new sites and offices, so we actively engage with community members and elected officials in the places we call home. In a single year, our data centers created $ 1.3 billion in economic activity, $ 750 million in labor income, and 11,000 jobs throughout the United States,” Williams’ statement read. Other tech companies, including Apple, Facebook, Microsoft, and Amazon, often require secrecy for at least some duration of the process when negotiating land deals for new space, including for datacenters. Because of that, it’s difficult to say how much more or less secretive Google is compared to other companies. Apple and Microsoft, example, have also used codenames in the past when negotiating with local officials in municipalities they intend to build datacenters in. In 2016, Facebook used a shell company called Greater Kudu LLC in negotiations for a datacenter in New Mexico. In that case, the company behind the development also wasn’t revealed to city council officials until late in the approval process. But what’s passed for common industry practices in the past may not continue to, especially as local groups have gotten more vocal about protesting tech company developments, like Amazon’s proposed campus in New York City. There, city council meetings that Amazon official attended were frequently protested by pro-union groups. There is another instance where Google appears to differ from competitors: in some municipalities where it’s built datacenters, Google has declared information about how much energy and water the datacenters use as a trade secret. That’s irked an environmental advocacy group in South Carolina, which has been trying to get information on how many gallons of water a Google datacenter in Berkeley County has been using. They do know, however, that the Google-created entity that owns the datacenter is among the 10 companies that use the most water in the county. The annual water usage of at least some Facebook and Apple datacenters have been revealed in the past, based on a quick search of local news articles. VentureBeat has reached out to Google for additional comment, and will update this story if we hear back. How did they come to this conclusion? Gartner’s report identifies a number of problems with Salesforce. For one thing, clients reportedly found it challenging to derive genuine value from the Salesforce CRM. Additionally, setting up useful automations in Salesforce can be time consuming. Plus, some customers complained that Salesforce’s sales tactics are “aggressive” — a major turn-off for business owners. We all know that features matter, but flexibility is arguably even more important in a CRM solution. Your software should be customizable to fit your organization — you shouldn’t have to change your practices in order to fit your CRM. On the surface, Dynamics 365 and Salesforce.com offer similar interfaces. However, users already familiar with other Microsoft software will find Dynamics 365 easier to master. 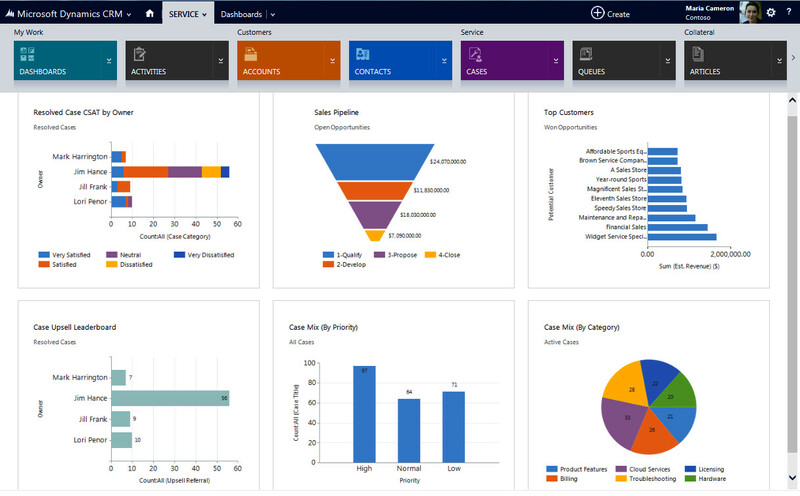 Plus, Dynamics CRM offers easy-to-use mobile apps. On top of that, Dynamics 365 does a great job of gamification when it comes to your sales team — a feature set that’s only available as an add-on purchase in Salesforce. Pricing is an essential consideration regardless of a software’s feature set. Salesforce.com’s base pricing may seem affordable, but the costs associated with various field service, data, and analytics packages (in addition to storage, support, and subscription fees) can add up quickly. Also, Salesforce’s Enterprise Edition — a necessity for larger businesses — comes with a higher price tag.